Dreaming of an exotic getaway? Forget it. Think a little closer to home. From sea to river, to winding hills covered in vineyards, there are so many adventures to be had in South Australia. The best part is most of them are only a few hours’ drive out of Adelaide, so get ready to pack the car and go on a road trip. To get the ideas flowing for your next trip away, here’s what we love about some of our favourite holiday towns in the state. As one of SA’s oldest towns, charming Angaston has been around long enough to know its strengths – the main one being that it’s located right in the heart of the Barossa. From here you can comfortably eat and drink your way around the iconic wine region, take a cooking class at Jacob’s Creek, or even plan an unforgettable morning in a hot air balloon. Want to check out more of the region’s produce? Head to the Barossa Farmers’ Market, held in Angaston every Saturday from 7.30–11.30am. And make sure you taste the fruit! The fact Maggie Beer sources her dried apricots from this tiny town exclusively is testament to their quality. If you’ve ever felt the need to get back to nature for a spell, Marion Bay, located on the big toe of the Yorke Peninsula, is the perfect place to start. Right on the doorstep to Innes National Park, this township provides a fantastic base for adventures to some of the most pristine beachfront in South Australia. Start with plenty of fishing and camping spots, sprinkle in a couple of surf breaks at Pondalowie Bay and Chinaman’s Beach, add some bushwalking trails, and you’ve got the perfect holiday cocktail. If you intend to travel late at night, it’s useful to remember the last fuel stop is at Port Wakefield. Voted one of Australia’s top 50 small towns in 2016, this picturesque seaside getaway on the Limestone Coast is loved for its plethora of surfing spots, fantastic seafood and 4WDing through the sand dunes. the headland and check out the impressive views. On the way, drop into Kingston SE to visit Larry the Lobster, regarded as one of our most impressive ‘big things’ in Australia. It’s also worth day-tripping from Robe to the world heritage-listed Naracoorte Caves, or south to Mt Gambier’s Blue Lake and Umpherston Sinkhole. Most South Australians have been to Victor Harbor once or twice. For those who haven’t, you’re missing out. Undoubtedly, the number one thing to do in Victor is to take the iconic Clydesdale horse-drawn tram across the causeway to Granite Island, climb the stairs to the island’s highest point, and take in the view. Before you jump on the tram, grab a hot jam doughnut from the Harbor View Donut Café. Still peckish? Just a short drive away is the Port Elliot Bakery, which serves up delectable pies and doughnuts. For something a little different that the kids will love, RAA members save five per cent on The Big Duck Boat tours. South Australia is blessed to have so many great wine regions. The Clare Valley has to be in the top two. Hire a bike in Clare and cycle down the well-worn Riesling Trail, which will take you right past the doorsteps of several notable cellar doors in the region. Some of our favourites are O’Leary Walker Wines, Pikes Polish River Hill Estate, and Jim Barry Wines. Once you’re wined out, Mintaro has to be the next port of call. Meander through the town’s famous living hedge maze and then take a self-guided tour of Martindale Hall, a historic building which was featured in the movie Picnic at Hanging Rock. RAA members save five per cent on tickets for both attractions. Cruising down the Murray on a houseboat, cold drink in hand – is there a picture more quintessentially Riverland? If this sounds like your idea of a good time, head to Renmark for your next holiday. Hiring a houseboat is one of the region’s signature experiences and a great way to relax and unwind far away from the pressures of daily life. Take in the dramatic cliffs as you cruise along. The river is also a great place for water sports, including skiing, kayaking and fishing. If you prefer to remain on land, there are some great little caravan parks – the Big4 even has a waterpark for the kids. Take a walk down to Possum Parade to meet some friendly and furry locals, or dine in at the riverfront Renmark Club and admire a sunset. Our top pick for the Eyre Peninsula is a bit further away than others, but well worth the trip. Sun, sand, surf – what more could you want out of a summer break? The laid-back coastal vibes of Streaky Bay are infectious and will have you moving at a slower pace in no time. But don’t think that means there’s not much to do here. 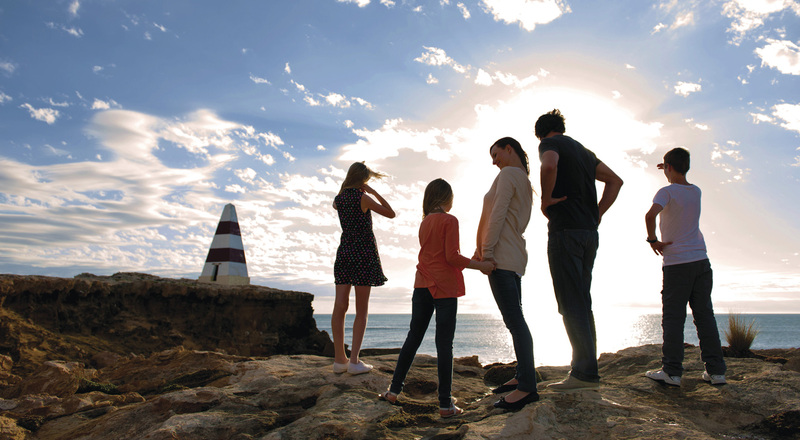 Sample the fresh seafood, take a trip back in time at the local museum, or drive along the wild coastline of the Great Australian Bight, where you can surf at Granites or snorkel around the reefs at Smooth Pool. About 40km out of town is Murphy’s Haystacks, a 1500-million-year-old geological wonder that’s one of the area’s most visited sites. 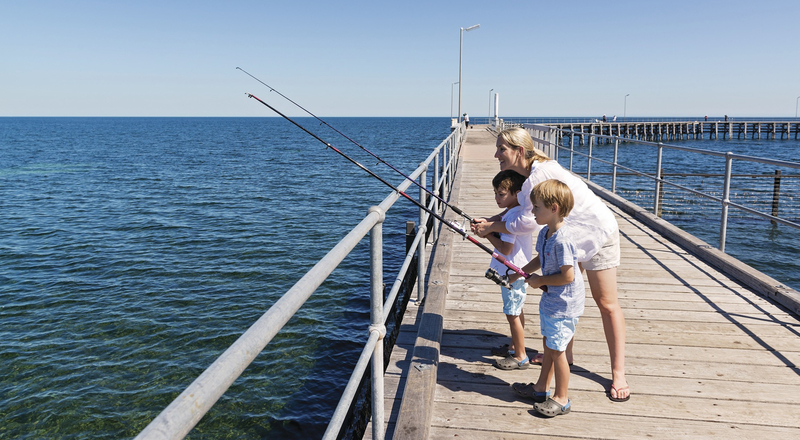 Moonta Bay is no secret; this place is packed during summer holidays so if you’re thinking about coming here, make sure you secure accommodation well in advance. What makes it so popular with holiday makers? It might have something to do with the fine white sand of the beautiful beach, a long jetty popular with recreational anglers, and Splash Town, a free water park open weekends and holidays from December to March. Moonta is also one of three towns that make up the Copper Coast triangle, also referred to as Australia’s little Cornwall. This is because the town’s rich copper deposits attracted hopeful miners from the region in the 1800s. Heritage walks and historical relics from that time are dotted around the town. Did your favourite songs make the list?